Available now in Audio Book format, Winner of the 2017 Golden Book Judges’ Choice Award for Children’s Fantasy. Also available in Kindle, Nook, and paperback editions. 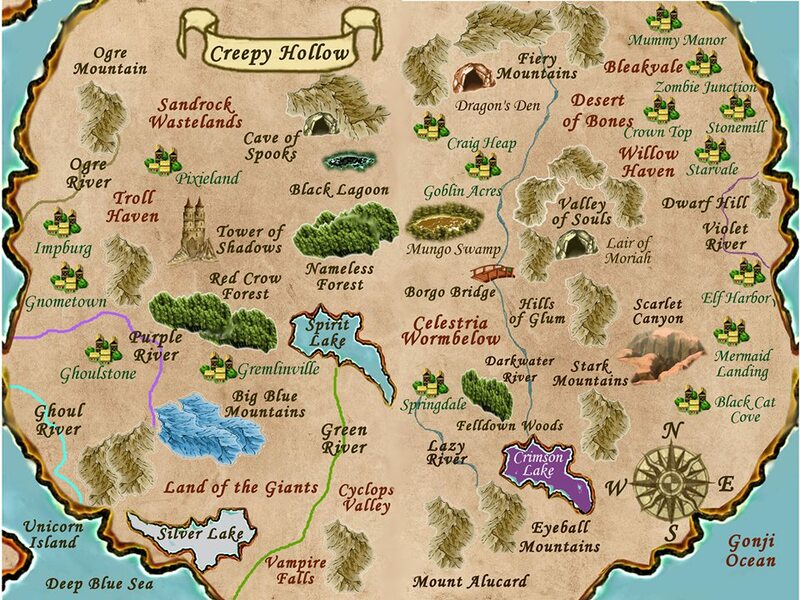 In Creepy Hollow, it’s Halloween all year long! Three Ghosts in a Black Pumpkin — a spooky Heroic Fantasy for children, ages 8 to 14, written by Erika M. Szabo and Joe Bonadonna. Wonderfully narrated by Kim Pruitt. “A blue stone and a black pumpkin found in the woods bordering cousins Nikki Sweet and Jack Brady’s grandmother’s yard transport the two children, accompanied by a talking skeleton wind chime, into the world of Creepy Hollow. 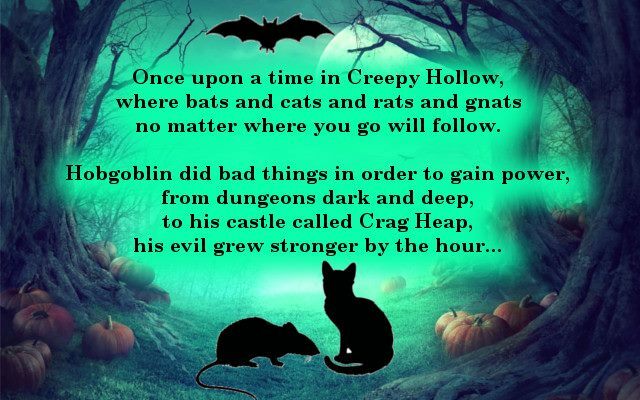 They and their finds become central in a desperate attempt to save the town from the power hungry goblin, Hobart T. Hobgoblin and his ruthless accomplices by freeing the three Wishmothers from their imprisonment in the black pumpkin. Not only does this tale—perfect for ages six to young teens—entertain, it teaches important lessons on how to work with others to accomplish goals, how to face fear, the importance of safety, and how to make difficult decisions. A cast of endearing (and some not so sweet) characters, non-stop action and plenty of twists and turns engages and delights.” — Sandra Novelly, Amazon Review. Three Ghosts in a Black Pumpkin is available as an audio book from Audible.com and iTunes. +Joe Bonadonna You are most welcome. I always appreciate good literature for children. This book looks spooky and fabulous! How wonderful that it's now available in audio! Congratulations, Erika and Joe! Audio books are a wonderful addition to the options for the book. Thank you so much for sharing! Sounds like fun. I keep meaning to order the paperback for the girls. I bet Grace would love it. I listened to your sample, it sounds like a fun book. Take a look at the creepy Halloween story by Joe and Erika. With Halloween just around the corner, check out this new audio book version of co-authors Erika Szabo and Joe Bonadonna. It already sounds like a fun story, but now that it's on audio, it should be a real treat. Nice post. Thanks, Toinette, Erika found Kim Pruitt, who did a wonderful job for us. 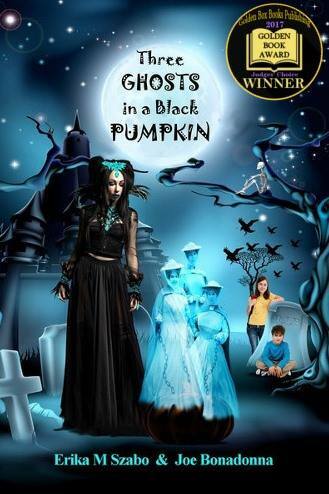 Today on #OnAuthorGang, I am pleased to put the spotlight on the new audio book version of Erika M Szabo's and my award-winning children's fantasy, "Three Ghosts in a Black Pumpkin," beautifully read by voice actor Kim Pruitt. Check out this fabulous children's spooky audio book by Erika M. Szabo and Joe Bonadonna. Sounds wonderful Erika. I love the idea of the talking skeleton wind chime. Thank you, Nikki. Might have been my idea, but Erika had a lot of her own ideas to add, and I could not have written the book without her.